Goodness, this recap is way overdue. 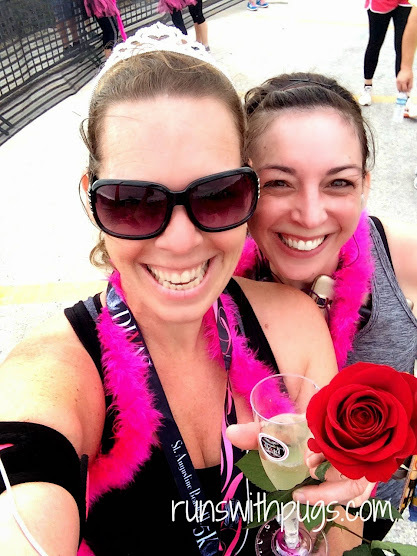 I am going to open by saying that I loved almost everything about the Divas Half Marathon & 5K in St. Augustine. 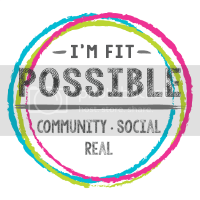 I registered for this one months ago, with a friend of mine, Angie from thisgirlonabudget. 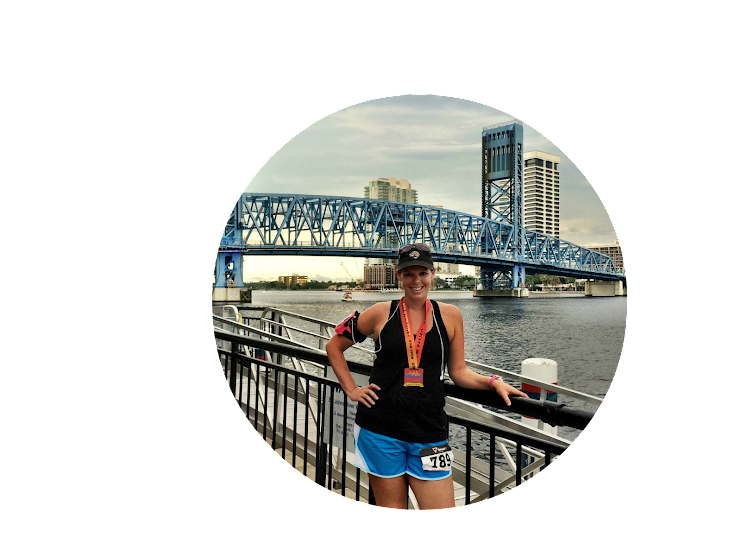 Angie started running earlier this year and we decided it would be a fantastic debut race for her. She would be traveling up with her family and not arriving til Saturday afternoon, so I planned on going to the expo on my own to pick up both our packets. The Health & Fitness Boutique was held on Friday afternoon and part of Saturday at the St. Augustine Amphitheater, shutting down by 4:00 due to an event scheduled that evening. There would be no race morning pickup. While the venue itself was neat (outside, so no chance of being crowded or overwhelming), the cold and misty weather weather didn’t lend itself to lingering or browsing. I was able to easily park and snag our packets (I had to present a copy of Angie’s driver’s license and a signed form to get hers), and then took a quick turn around the vendors. We got really cute swag bags, with personalized bibs and a cute women’s- cut shirt with shirred sides. I was so excited to give Angie her very first packet. On Saturday morning, the PugRunner family ran the Gingerbread Man Dash, and then we showered and changed and waited for Angie and her family so we could get lunch. We went to a local joint on the beach, and then home to relax. Dinner was at home – pasta served with different sauces, garlic bread and salad. Mr PugRunner lit a fire and we had s’mores for the dessert, and then we got the kids off to bed so we could be ready for our 5:15 AM departure time. We set out our outfits to save some time. Obviously, I had to wear pink. And I had to sparkle. That’s what divas are all about. Due to limited parking at St. Augustine Beach, we had to park at one of two locations and take a shuttle over to the start line. It would have been nice to get some extra sleep, but it was also nice to easily hop on the bus and be able to settle in and use the restrooms. It was pretty cold and windy out, but we had a big group of friends there, so we huddled and hid from the wind as best we could. The staging area was in the parking lot next to the St. Augustine Pier. There were tons of portapotties and even little water stations set up for the runners. I wish we could have enjoyed the beachfront view a little more, but the chill was cutting and no one felt much like walking around. We lingered near the bag-check area under a pavilion, snapping pics and joking. As the sun began to rise, we made our way to the start. I loved the sea of women runners, all in pink and tutus, laughing and smiling. It seemed to be a good mix of experienced racers and new runners, which is so great to see. The half marathon would begin first, with the participants starting in two waves. We prepared to cheer them on, when I noticed a familiar face. It was Emy from The Plant Life! We have been following each other on social media for a while and it was really nice to get to meet her in person. It was really great to line up with Angie. I don’t think I’ll ever forget the feeling of my first race: all the nerves and adrenaline and excitement; not knowing exactly what to expect; so stoked for what was to come. She looked like she was having all those same feelings. We had a minute of laughter with about two and a half minutes before the gun. I had a small rock in my shoe and so I took it off to adjust. Angie was horrified and begged me to put it back on. I think she thought I was going to miss the start! And then the gun fired and the 5K was underway. The course was basically a box: we ran along A1A, then turned left up into the neighborhoods that ran behind the beach road. To be honest, I had no idea anything was even back there. It was a nice, mostly flat course, with long straightaways and decent residential scenery. There were little areas of congestion, but nothing major. I seem to remember two water stops along the way, with cheering volunteers. We turned left for a while, and then left again. The last mile was back on A1A. Into a nasty headwind. Ugh. I was feeling good so I just put my head down and pushed. There was a DJ making announcements and cheering us on with about .3 miles to go, and finally I could see the pier. The finish line was toward the back of the parking lot, so there was one more turn before the finisher’s chute. At the corner, there was a station of lovely volunteers handing out tiaras and boas to the runners so they would be all blinded out for their finish line shots. It was an adorable concept, although with the wind, kind of difficult to finagle. It’s hard to accessorize at a dead sprint. After the finish line, there were some stops. First, collecting the blingy Diva medal from a firefighter. Up next, a table of lovely red roses. 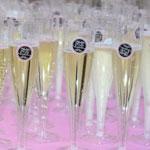 And finally, the champagne station (a non-alcoholic option was available too). Runners could enter a queue for professional finisher photos in front of the Divas step-and-repeat on their way to the refreshment station and bag check. Angie rocked it! I was so proud of her sub30 finish! And I finally PRd on my 5K! Such a great way to end the year! This was a lot of fun, and will be even better if the weather is nicer. It was great for groups of friends, for solo runners and for people just looking to have fun. The crowd was energetic and enthusiastic and the vibe was really wonderful. I’m hopeful that the 2015 event will streamline the return shuttle transportation (we did get stuck waiting for a while before the busses started running again) and that more vendors will attend the expo, but all in all, it was a banner first year. Angie and I have talked about making this a regular thing, and I can’t wait to do it again! Princess Molly, in all her glory. Thanks to all the staff and volunteers who helped make this a wonderful morning! Do you have a special race that you try to make an annual event? 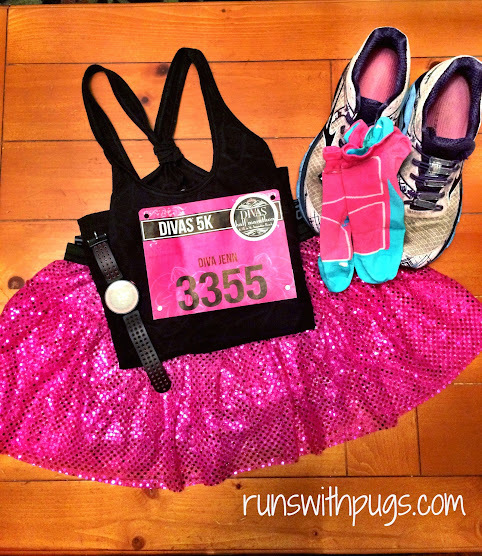 Have you ever run a Divas race? That looks like so much fun!! We hardly ever have cool races like that come to Iowa. Sheesh. I’ll be watching to see if this race comes here. I would love to run that one! There is a St Patrick’s Day race that I signed up for last year, it ended up being on my birthday, but then I injured myself and couldn’t run it. This year I am signed up again and this time for the 10K not the 5K. We are really lucky to have a great racing calendar almost year-round. And if there isn’t a decent race here, we can drive a few hours to find one. I love 10Ks! You’re going to do great! You were missed 🙁 The good news is, we can do it next year! They will have tutus for all registrants! I’d love to hear what you think when you do! Love it! I’m dying to do a Diva race. The closest one to me is on Long Island though, which is pretty far away. I’ll have to plan ahead! Congrats on the PR. 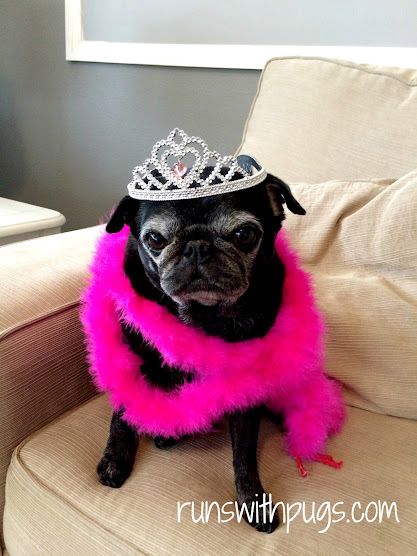 And OMG, your Pug with the boa and tiara?! So cute! Isn’t she the most ridiculously precious thing? Love her! I was waiting to see your review! I am excited that Diva came to St. Augustine! That is one of my favorite Florida towns! I had already committed to Phoenix so I was not able to attend. My first Diva race was the one in Puerto Rico and we had a blast! I hope I can do this one in 2015! Cute pics! I can tell you had fun! 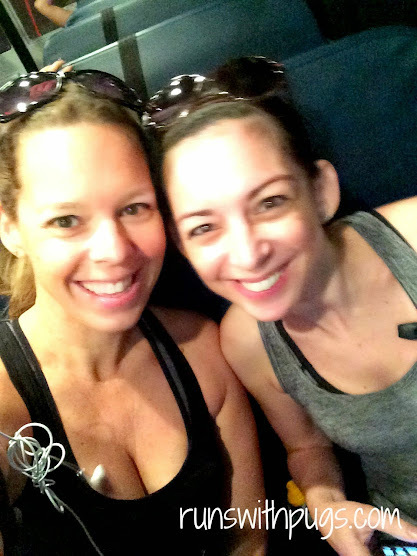 Mary Beth Jackson recently posted…Training update- Just do it! Oh, you absolutely need to come up next year! 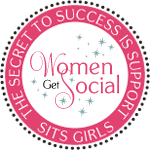 Especially for the tutus! you guys look so great!! That pink sparkle skirt is so amazing, I want it!! I’ve heard so many great things about this race, from the hunky guys to the swag to the sisterhood vibe, the one near me always has a huge turnout. 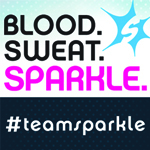 That’s a Sparkle Athletic skirt – I have it in three colors and it’s so fun. We really had a lot of fun. I hope you get to race one at some point! Yey! Congratulations to Angie on her first race! I’m so glad you all ha such a wonderful experience! P.S. you were racing like 2 minutes from my house haha! That’s awesome that you ran with your friend on her first race. That will be a forever memory!! And Princess Molly is just too precious! Thank you. She’s quite aware of her preciousness, too LOL! I loved running with her (or near her – truth be told, she left me in the dust!). I can’t wait to do it again!